A lot has changed at Hamilton Park during the last one hundred years, including in the last few years. 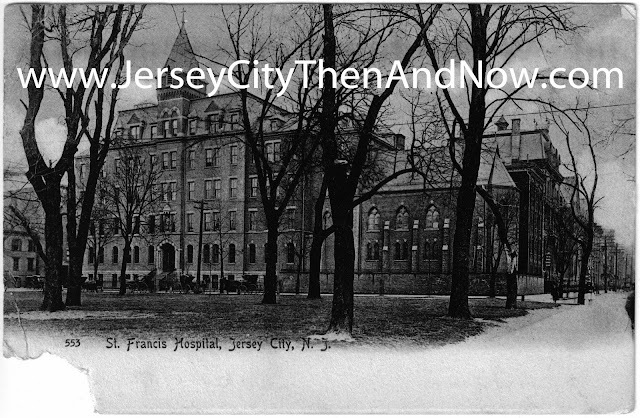 At the turn of the last century a beautiful hospital building that housed St. Francis hospital was standing at the Park. I don’t know exactly when, but I believe it was demolished some time in the sixties or seventies based on old photos. It was replaces by a bunker-like structure. There are some interesting pictures here of what the bunker-like buildings used to look like right before they were demolished in 2006 / 2007 to give way to the latest developments. 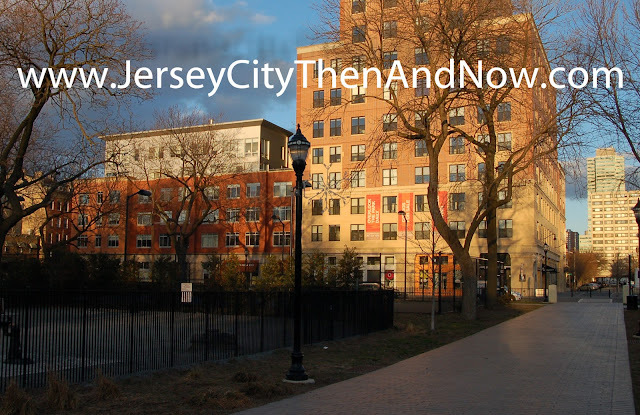 In my opinion the current buildings are a vast improvement over what used to be there, and that they are residential, with the increased population density, means that the park is more lively too and more facilities (e.g. stores, restaurants) can be sustained in the local area - such as Mdm Claude's Wine Shop. Take a closer look at the building in the far left corner of both images - it seems to be the same old building standing, though it's currently covered in asphalt siding. The google map street view below is not from exactly the same positions, as the construction was going on when Google took the pictures and access to the street was blocked. I believe my great grandfather, Thomas Keary of Keary Brothers (builders), was part of renovations done to St. Francis in late 1880's. If you have any info on the hospital during that time I would live to see it. Thanks for the interesting blog!